It was quite an experience. I was exposed to staph, mrsa, herpes, and tuberculosis while there (and Lord only knows what all else) as well as some extremely insane people. My life was torn inside out, and I was detained, incarcerated, denied bond, and denied release in complete, total violation of the law. What follows is a sworn affidavit that I filed on December 11, 2014 in criminal cause number 14-158 in the 40th Judicial District Court in Ellis County, Texas, Ex Parte William M. Windsor. I am writing this in several parts to tell the story of my experience as a political prisoner. This is Part 1. I will be linking evidence to these articles as soon as I get organized. As I begin writing this, I have been out of jail for just a few hours. A. I am over the age of 21, a living person, am competent to testify, and have personal knowledge of the matters stated herein. B. I am currently incarcerated in the Ellis County Jail. I do not have access to the law library, a computer, or a copier. C. In the following sworn statements under penalty of perjury, I refer to myself as the “Relator,” which I understand is the proper designation in a habeas corpus proceeding. William M. Windsor (“Relator”) is 66-years-old. Prior to October 28, 2014, he had never been arrested, had never been charged with a crime, and had never been in jail. The Relator does not even have a traffic or parking ticket in over 14 years. The Relator has never committed a crime, has never used drugs, and is a non-violent law-abiding citizen. He has never shot anything but a target. 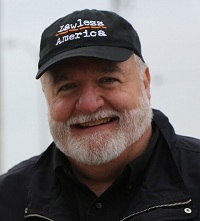 The Relator began work on a documentary film titled “Lawless America” in February 2012. Shortly thereafter, the Relator began being harassed, threatened, and cyberstalked by [a University of Montana employee whose name rhymes with Sushi – a name that some judges say I do not have the right to print – hereinafter referred to as “Sushi”] SUSHI, an employee of the University of Montana. Over the next 19 months, SUSHI threatened the Relator with bodily harm dozens of times. He posted many hundreds of statements about the Relator on various websites. He sent dozens of stalking emails to the Relator, and he ignored over a dozen cease and desist notices from the Relator. He published outrageous defamatory statements, including one in which he said the Relator had a dread venereal disease. The Relator reported the crimes of SUSHI to law enforcement, but they did nothing. A number of other people began viciously defaming the Relator because he filmed people they hated or because the Relator dropped them from the movie due to dishonesty or some other issue. On June 13, 2013, the Relator’s wife of 42 years divorced him out of fear that she, their children, or grandchildren would be killed by the people attacking the Relator. In early August 2013, the Relator drove to Missoula, Montana to film an expose about SUSHI, the University of Montana, and the cover-up of SUSHI’s crimes. As the Relator drove from Butte, Montana to Missoula [Montana], a car ahead and to the right of the Relator’s car burst into flames and smoke. When the Relator reached his hotel that evening, he received an email from SUSHI stating that he had shot at the Relator, missed, and hit the car next to him. The Relator reported the shooting and other crimes of SUSHI to law enforcement, and no one did anything. The Relator attempted to get protective orders against SUSHI, but the courts denied them in a manner that told the Relator that the courts were intentionally protecting SUSHI. On or about August 25, 2013, while completing filming at the center of the University of Montana campus, the Relator was served with a Temporary Order of Protection in favor of SUSHI. I t was obtained based on outrageous lies by SUSHI. The Relator did nothing but film while in Missoula. There was never a hearing to try to convert the Temporary Order of Protection to a permanent order, and the Temporary Order of Protection expired in mid-September . On August 31, 2013, the Relator began living in Dallas, Texas. He had lived in Marietta, Georgia. On December 4, 2013, the Relator flew to Georgia to drive a truck back to Dallas with his household possessions, files, etc. On December 8, 2013, a terrible ice storm hit Dallas. The Relator slipped on ice, fell, fractured his skull, and lost all the hearing in his right ear. The Relator spent time in intensive care at Baylor Hospital in Dallas. He spent the next couple of months recovering. Some of his hearing returned after three weeks. The Relator had been instructed not to fly, and did not fly for about a year after the accident. While recuperating, the Relator completed work on a lawsuit against his haters. On December 26, 2013, the Relator drove to Ellis County Texas where he filed the lawsuit. It [William M. Windsor v. Joeyisalittlekid, et al] is case number 88611 in the 40th Judicial District Court in Ellis County Texas. The Relator is the plaintiff. There are 16 named defendants and 1,000 unnamed defendants. The Relator left Montana on or about August 27, 2013, and he has never returned. The Relator did little or no traveling from December 2013 to April 2014. Case #88611 moved slowly before Judge Bob Carroll.